So you are off to Vietnam! One of our favourite places and it will always remain a country that we return to time and time again! To help you prepare for your Vietnam holiday, you can read our pre-Vietnam travel advice post (which also contains info on popular places to visit in Vietnam); and then use our post on fun things to do in Vietnam. Vietnam is a great destination for either couples, friends or for families. To get you in the mood for your trip, check out our suggestion of books to read. You can read all our best posts in this Vietnam travel blog section. Vietnam is an easy Asian country to travel with kids. Vietnam holidays are pretty affordable (if not cheap) and it is easy find drivers that can take you around to the popular Vietnam attractions. Many of the best attractions in Vietnam are outdoors which can make things much easier for travelling families. There are a wide range of gorgeous family hotels in Vietnam; most of which offer swimming pools and kids clubs. A holiday in Vietnam with kids might be a bit exotic, but it a safe destination to visit and there are loads of learning experiences available for the kids. Which cruise is the best Halong Bay cruise? Click to find out. A lot of travellers feel more comfortable travelling around Vietnam on an organized tour. If you prefer to visit Vietnam on an organized tour; we have compiled a list of the best tours of Vietnam. Your quick guide to planning your trip to Hanoi. We always start our accommodation research with Hotelscombined. This site makes it super easy to compare accommodation across various booking engines so that you can simply pick the best price for the accommodation of your choice. We also often book through sites such as Airbnb, especially when we travel in Europe as it allows for massive savings on accommodation. Click to grab a coupon for your first stay! ​We personally book our flights on Cheapo Air, we find that they are often the cheapest (even in comparison to Skyscanner). Click to check on prices for your flights. ​We never travel without travel insurance with World Nomads. We have claimed on our travel insurance more than once, claims that would have cost us A LOT out of our own pockets. Don’t skimp out on insurance!! World Nomads offers incredible plans and is one of the few insurance companies that allow you to grab insurance when you are already travelling! Click to check on their plans and prices. 15 of the Absolute Best Halong Bay Cruise Recommendations in 2019! Hanoi sightseeing | Top 5 ‘Must-See' Tourist Hanoi Attractions!! 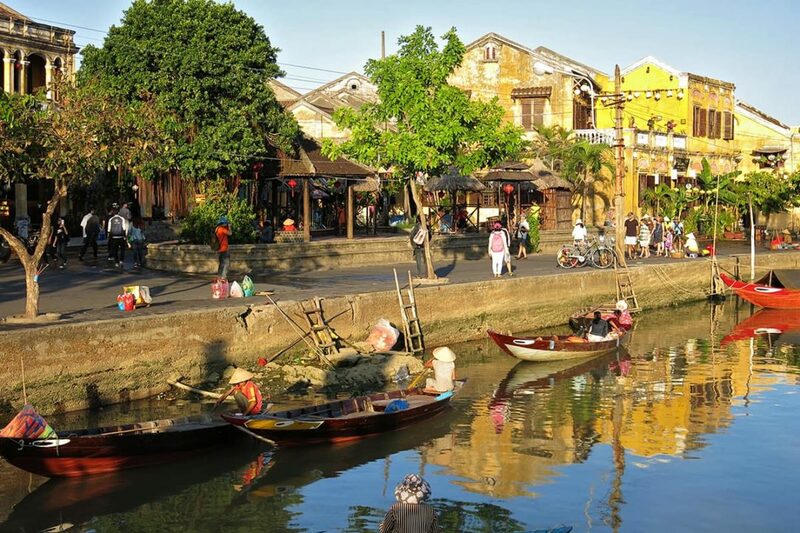 Ultimate Guide and What You Need to Know About Hoi An Tailors! The Insanely Picturesque Sapa Hike in Vietnam!